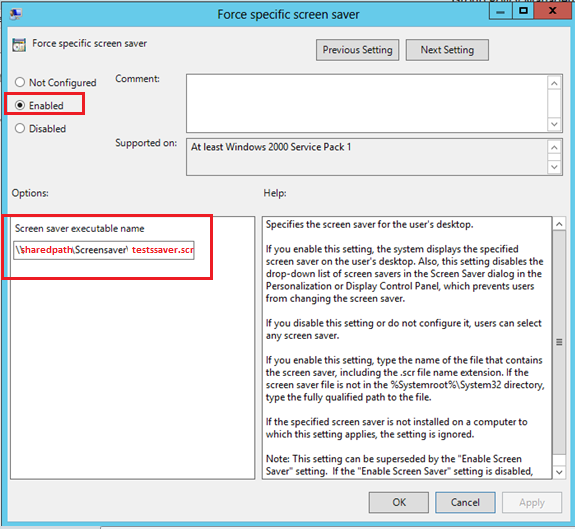 Techies Sphere: Group policy to deploy screensaver on domain computers. 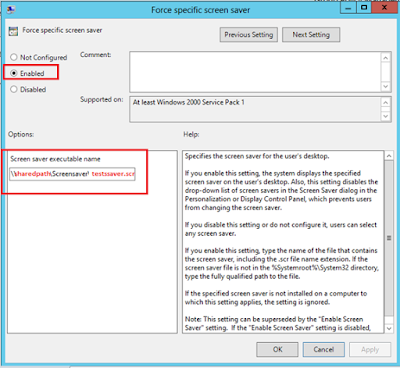 Group policy to deploy screensaver on domain computers. 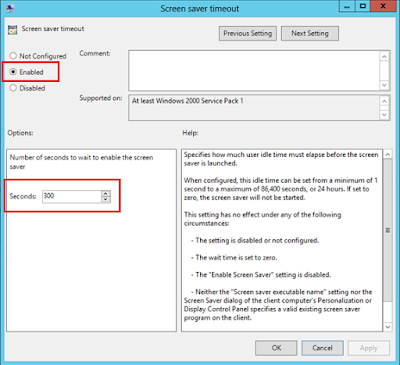 Or, How to create screensaver Group Policy in Windows server 2012 R2? Enable the policy options as shown in below screenshots, you can choose more policy options as per your individual need. Here you need to give complete shared path of the .scr file you have created. Run gpupdate /force on Server and Client both to update the policy immediately.